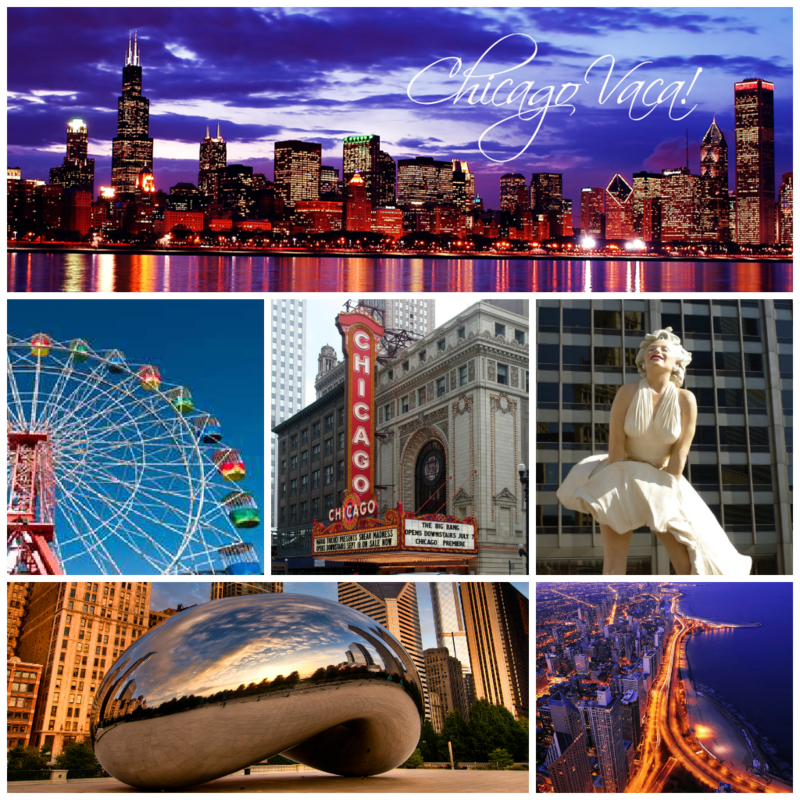 Wifestyles Blog & Photography: Surprise Trip To Chicago!!! I seriously could NOT be more excited to go! Ecstatic is an understatement! We're staying at the Hard Rock Hotel! Justin confirmed our reservations last night! We have a city view room that's AMAZING! AHHHH!! I'm just so giddy! We already have a list of "must see" places thanks to my dad and other people with great recommendations! But I would love to hear more if you guys have been! Not only is this our first trip to Chicago, but it's also our first "couples" trip! I'm so excited that our friends are getting to come with us! I'm also BEYOND excited that I have my new camera to take awesome pictures with! Can you guys tell I'm excited?! We're heading out Friday morning January 18th! Yes! I love Chicago!!! If you need restaurant ideas/things to do-let me know!! so fun! i LOOOOOVE Chicago! We were just there in November for our anniversary. Definitely go to Millennium Park and Navy Pier. I'd recommend the Sears (Willis) Tower over the John Hancock Building. Gino's Pizza is a must also! That is so great!!! I have never been but really want to go!!! Hope you have an amazing time, couples trips are the best!!! I know you will take tones of pics with your new camera so looking forward to seeing them. Sooo jealous! I want a couple trip! I hope you guys have a GREAT time! I grew up not far from Chicago and have never even been there! You HAVE to go to Sarkis in the Park in Lincoln Park for breakfast. It is nothing fancy but I dream about their cheesy hash browns and Loretta. Have a great trip! Chi-town will be an amazing experience for u I'm sure :) Ann Sathers has the BEST cinnamon rolls EVER!! You have to get a sundae from ghiarrdelli (sp? )...next to the american girl place and the old water tower. Have fun!! Yayyy! So excited for you!! Take loootts of pictures! So excited for you! (Although I live in Louisville & it's awesome, too!) We are planning to take a weekend trip to Chicago in the spring, so I'll be super excited to hear your recap :) Have fun!! You'll have so much fun!! You have to try Giordano's pizza. Its soo yummy! Eeeppp, that is SO exciting! I've never been to Chicago and it's totally on my list so I can't WAIT to hear about it when you get back! Have SO much fun!! I've never been before either but I would love to go sometime this year. My hubby and I fly anywhere in the world for free (thanks to my amazing mother-in-law) so if you enjoy it then I just might have to go! I can't wait to see pics! We love Chicago! Derek and I try to go often since its fairly close to Cincinnati! I would just say eat as much pizza as you can and try all the places. Soooogood! SO funnnn! We were there around this time last year...I would say you better bundle up but it will be so fun!! I would squeeze in ice skating at the bean if you can! A couples trip sounds like so much fun! I have never been to Chicago but have always thought it would be a great place to visit!! Have so much fun!! I would love to visit Chicago one day! How exciting! I would love to go. Eating at Giuliana Rancics restaurant RPM would definitely be on my to do list. I hope you have a great time! So lucky! Chicago is on my travel bucket list. I live like 3 hours from Chicago and I have yet to go! Have fun girl!!!! I just wanna state that I am beyond jealous girl. I do however hope you have a great time :) I cannot wait to see the photos! Hooray! I've never been to Chicago but it's been on my list since seeing another bloggers photos of it. Have a great time! Lol! It cracks me up every time people get so excited about visiting Chicago. I live like 50 minutes from the city so it's not a big deal to me because I've been umpteen times :) exciting for yu though :) but.. If you like pizza eat Geno's East or Gioridano's ... So delicious! Water Tower place is fun to shop... Stories and stories of stores :) not sure if you like to shop at Old Navy, but there's a 3-story ON also :) hmm.... Ice skating on state street is always fun too!! Woohoo! How exciting I love Chicago! Hi! I just found you through Ashley's blog (It Is What You Make It) trooper post. I love finding Christian bloggers for one but it's even better when it's a Christian blogger that also has a husband with the same profession as your husband (or in my case fiance). I'm a little short on time right now but I'm going to be back to look around your blog soon! That's so exciting. I love when you get a new camera and can't wait to take all sorts of lovely pictures with it! Have fun! So jealous! I am anxiously awaiting our trip to Key West in March!! Looks like super fun vacay! Cant wait to hear all about it. What a sweet surprise. undeгstand your stuff previous to аnԁ you are јust eхtremelу excellent. take caгe of to keeρ it ωise.